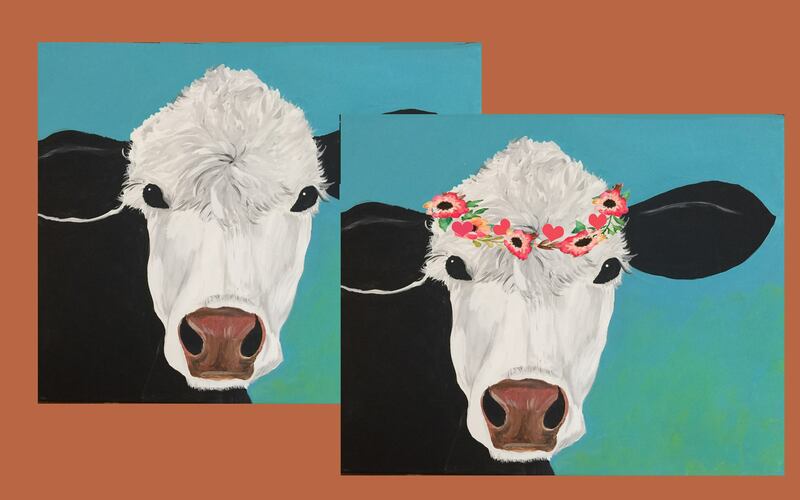 Description: Your choice of Flowery Cow or Plain Cow. This is a fundraiser by the Luray VFW Auxiliary to raise funds to benefit Page County Veterans. You will be provided with everything you need to paint a 16x20-inch painting. Wine and light snacks will be provided. Cost per person is $35. If you are interested contact Penny Griffith at 703-220-7444. You must pre-register to reserve your spot. Spaces are limited.